Word-of-mouth, 20-50% of all purchasing decisions are made from Word-of-mouth. Buyer more likely to respond to testimonial from people they respect than to paid advertisements. In our world which is already a world of digital relationships , word of mouth plays big role and extends far beyond family and family. Watch this data regarding influencers of marketing. What is social media influencer job description? Influencer Marketing is the practice of creating relationships with people to make them customers so they can then build more and additional relationships in return for you. It does not matter if the audience is tiny or large - an influencer really can touch consumers using social media- networks and blogs, and doing this in ways that usual branding may not be able to reach. Celebrity endorsements were the original form of influencer marketing. We’ve all see T.V. commercials - remember how some well- known guy can take 60 seconds to tell you about new product and how great it is? Now, using online media some regular guts became an online “celebrities” and they have got big social- media audience and followings. A survey this year found that You Tube creators took nine of the ten best spots in a survey of influencers and they are outranking traditional celebrities. How To Increase Traffic ? Become a Social Media Influencer! Social Media Influencing is now very popular for some blog- enthusiasts, they can make great passive income using affiliate marketing business model and utilizing these. Influencers are now a standard practice among many of the top companies, selling using online markets today. But why should we stop even there? We can generate even more traffic and leads to our Brand simply by becoming one of the Influencers! I can give you some recommended actions out there on how you can become a social media influencer. So here are some step-by-step instructions on how you can get started today. Choose 2-4 social media channels you’ll use to cover your subject, taking into consideration what you excel at. Are you good at writing using engaging posts on Twitter and Facebook? Maybe you are good at photography or creating your brand videos? The type of content you want to publish should showcase your best skills. 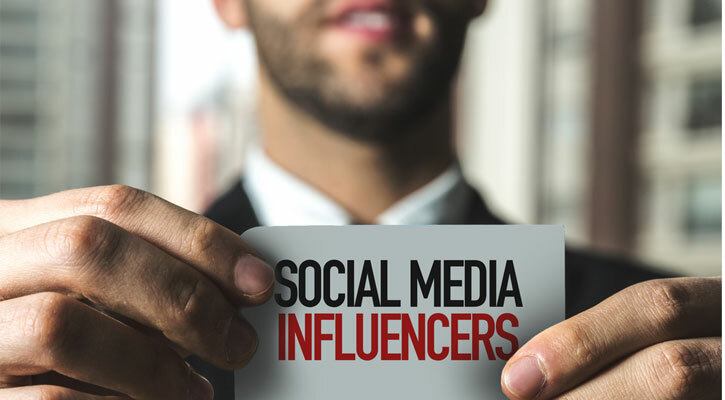 If you’ve decided to be a platform-specific influencer, clearly, you’ll want to use that as your primary social network then utilize the others for greater exposure. Create a strategy for your content. What are your information preferences? First you should realize why regular people should be be enthusiastic with the idea of following you and then you should plan accordingly. Try to plan for at least 3 months in advance, prepare the strategy, and then start posting. The purpose of your content is to attract people. To accomplish this, you must be publishing consistently. You know what message you want to send them so you should stick to it plus make sure also that you keep lookout for new valuable info. Promote yourself by guiding your audience to your content. Share it everywhere it might seem as interesting content to new followers. Build your community by going to forums, fan pages, and inviting new people to engage with them as well. Contact other people and other brands in your niche - comment and chat on other posts and also exchange likes and new ideas. One of the fastest ways to gain status is to contribute your unique content to other blogs and publications. Guest postings can improve your merit among peers and increase traffic to your own blog. Show that you notice other people and you’ll start to be noticed too. Over time your efforts will start to pay off this is how you can cultivate your own trend and audience that will be glad to listen to you and will follow you. The more people that join your audience, the more seriously your views will be taken and the level of influence you create over others will increase. Publish on LinkedIn. They say LinkedIn posts are the most influential and leading in a particular subject or niche. So, in addition to your own blog you should create some posts with LinkedIn’s platform. You can accomplish this most easily if you cut and past your published blog-posts and add a new headline with keywords and an new image. Consequently, if more people in your network will see your own articles on LinkedIn, they will start to think of you as an niche authority too. So, make sure you interact and build meaningful relationships with your audience as well as your peers to present yourself to more new brands and have a strong following in your niche subject.